Lidl is found in a good position on Spring Garden Road, a 2.24 mile distance south-east from the centre of Stoke-on-Trent, in Longton (close to Saint Gregory's Catholic Primary School and Edensor Technology College). This supermarket mainly provides service to patrons from the districts of Blurton, Meir, Dresden, Normacot, Longton, Florence, Fenton and Weston Coyney. Doors are open here today (Friday) from 8:00 am until 10:00 pm. This page includes information for LIDL Longton, Stoke-on-Trent, including the business hours, address info or telephone number. Lidl is located in an ideal spot right near the crossroads of Trentham Road and Spring Garden Road, in Longton, Stoke-on-Trent. Simply a 1 minute trip from King Street, Anchor Road, Uttoxeter Road/A50 or Trentham Road; a 4 minute drive from Sideway Interchange of Queensway, Weston Road and Sandon Road; or a 12 minute trip from Junction 15 (Hanchurch Interchange) of M6. ST3 2QS is the postcode for people using GPS devices. There are bus stops at Longton Library, The Strand stop B and Longton Bus Station. The most accessible lines: 6, 11, 12, 22, 31, 37, 40, 50, 6A, 6C, 842A and Orange ONE. Services run regularly to Longton Train Station (2440 ft) and Stoke-on-Trent Train Station (2.64 mi away). CrossCountry, East Midlands Trains, London Midland, Northern, Virgin Trains and Arriva Trains Wales are the regular lines. Within a short walk you might find Fenton Park, Berry Hill Fields, Edensor Technology College, Staffordshire University, Blurton High School, Park Hall Country Park, Parkhall Business Village, Sutherland Primary School and Britannia Stadium. Right now, LIDL owns 4 branches in Stoke-on-Trent, Staffordshire. 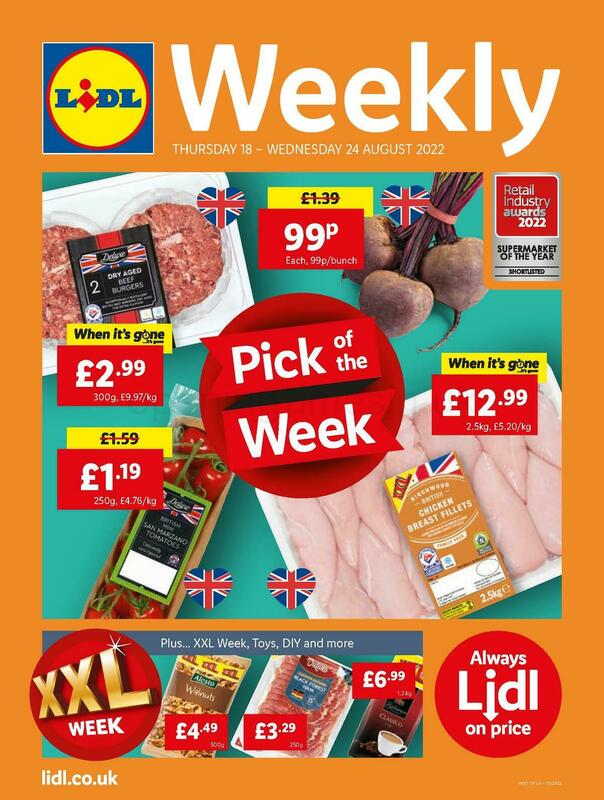 Click here for a complete listing of LIDL stores near Stoke-on-Trent. Please note: working times for LIDL in Longton, Stoke-on-Trent may be altered over UK public holidays. For the duration of 2019 these exceptions apply to Christmas Day, New Year's Day, Easter or Summer Bank Holiday. For added details about the holiday business times for LIDL Longton, Stoke-on-Trent, visit the official homepage or call the customer service line at 0800 977 7766. Our company is always striving to provide you with the most current information. If you know that the address details or working hours for LIDL in Longton, Stoke-on-Trent are incorrect or have changed, please inform us by utilizing the report a problem form. Your thoughts are important. Please use the space and star scale below, to review LIDL.